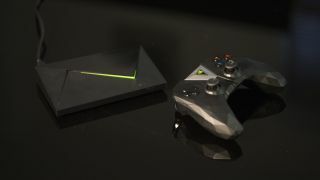 Three years after its initial debut, Nvidia Shield TV is ready to to receive its 20th software update that will bring 120Hz modes for select TVs and monitors, Twitch streaming via Nvidia Share and in-game voice chat support for Fortnite and PUBG. The update comes shortly after the new GeForce Now beta roll-out, and should bring the micro-console more in line with traditional consoles like the Xbox One and PS4. Of course, what separates Nvidia’s console from Sony’s and Microsoft’s isn’t just its small stature or less powerful internals, it’s the operating system itself, Android TV. Nvidia has payed more attention to Android TV than most other developers and is leading the charge on bettering (perfecting?) the platform. This process began when Nvidia Shield was one of the first 4K HDR media streamers, ahead of the Apple TV 4K and Amazon Fire TV Cube by a mile, before becoming a neutral party for the Amazon-Google feud by embedding Amazon Prime Video on Android TV. It's the platform that added both Google Assistant and Samsung SmartThings support in the same year and, for cord cutters, is both a Plex client and a Plex server rolled into one. The update rolling out today enhances some of those features and adds some new tricks to the Shield's arsenal of tricks. That being said, while the Shield's 20th update is an impressive one, it's the platform's frequent, consistent patches that continue to make it one of the best streaming players on the market.